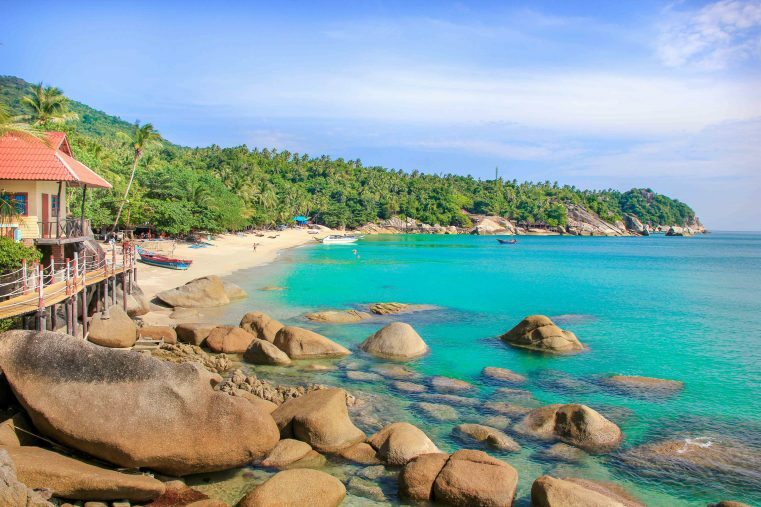 The beaches of Koh Phangan are some of the best inThailand: High coconut palms, unique rock formations, turquoise blue waters and white sand beaches makes this island an unforgatable place. 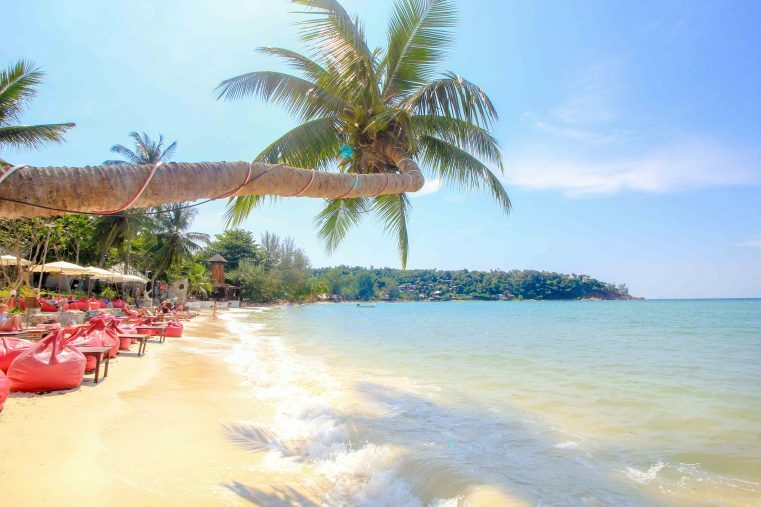 One bay is more beautiful and idyllic than the other and so it is often difficult to find out where the best beach to stay is at Koh Phangan. Whether you like beach bars and parties or you prefer secluded and quite beaches – on this island everyone will find his or her perfect place. 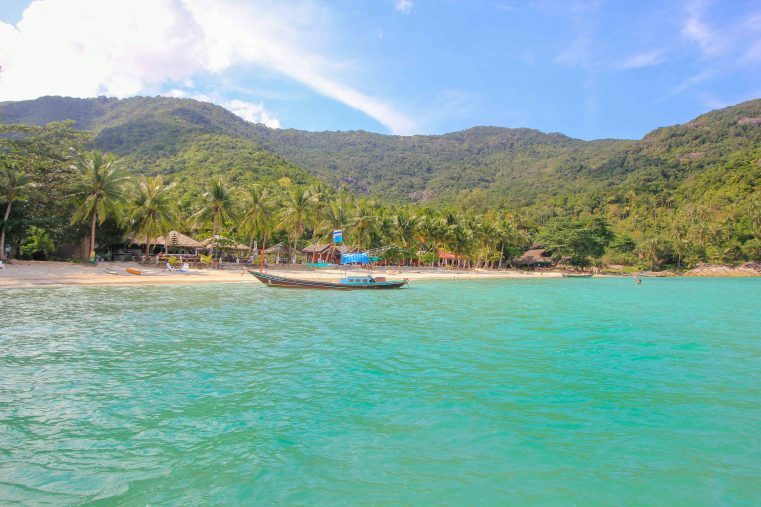 Are you planning a beach tour to explore some of Koh Phangan’s best beaches but you are not sure where to go? In this beach guide we will show you the 12 top beaches of the island including some hidden gems. The Leela Beach is an amazing beach just across the Haad Rin. 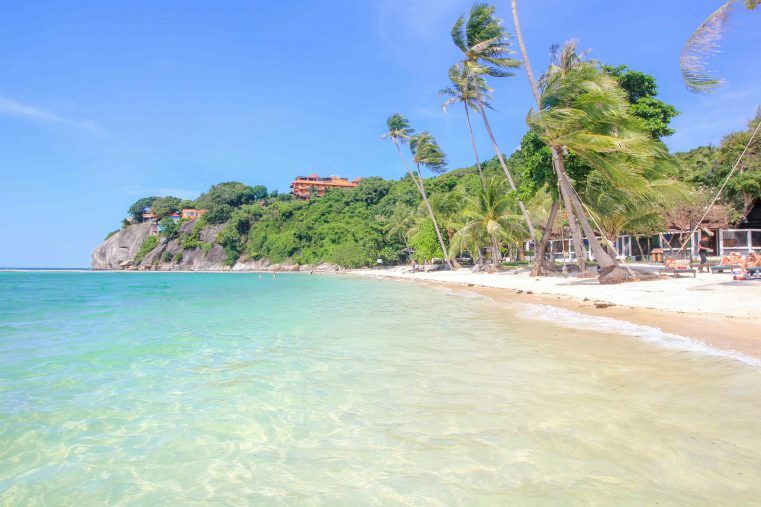 The snow white, palm-fringed sandy beach is definitely one of the most beautiful beaches in Koh Phangan. This beach is really quiet but if you feel like having a party, you can reach the Haad Rin in walking distance (10 minutes )! The Leela Beach really clean and is perfect for relaxing! Also, you are going to find a beach swing for taking wonderful beach pictures. The turquoise blue colours of the sea and the swings that hang between the magnificent palm trees are like out of a postcard. In addition, the sunsets are absolutely amazing. Here you will find a handful of beautiful accommodations. At the northern part of the West Coast, just around the corner from Haad Yuan Beach you will find a beach that is still quite lonely and secluded. Here in this small bay for sure you will get a real Robinson Cruso feeling. Peace seekers will certainly enjoy this bay! In addition, this hidden beach is ideal for swimming and snorkelling. Here you will find only a few accommodations and bungalows. Also the Haad Thian Beach is ideal for a bathing trip. Taxi boats leave from Haad Rin and the journey takes just around 15 minutes. The Haad Yuan is probably the most beautiful beach of Koh Phangan. Here is the place where you will find the absolutely perfect beach. Huge rock formations, white sand and unbelievably beautiful sea colours create a breath-taking panorama. If you like to take a rest and just want to spend some relaxing holidays on Koh Phangan, you should definitely look for an accommodation here. The Haad Yuan is a secluded beach and that’s why you can reach the beach only by the taxi boat Haad Rin (200 Baht – 300 Baht). Above all, the seclusion and the quiet atmosphere gives the Haad Yuan a very special flair. Also recommended for a day trip! The Than Sadet Beach is absolutely beautiful and the ultimate insider tip for those who want to stay at the east side of the island. 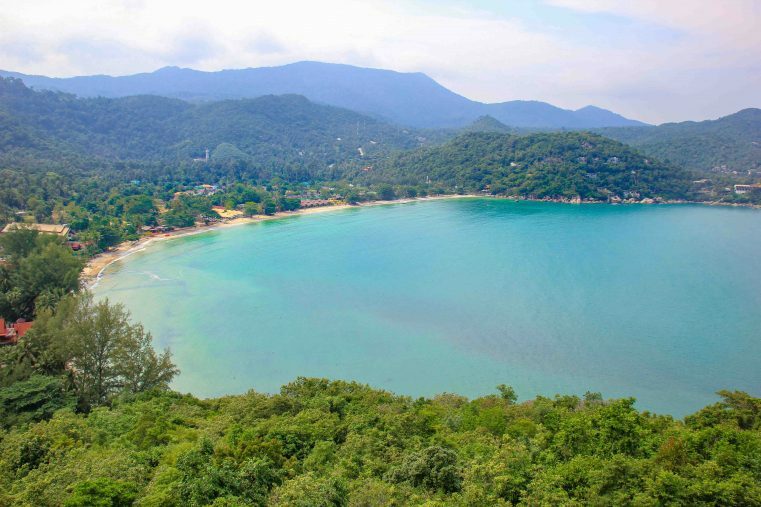 Lined by countless palm trees and deep jungle, it’s known to be one of the most beautiful beaches of Koh Phangan. On this secluded beach there are a few simple beach huts and bungalows with really cozy island flair. Not far away is the Sadet Waterfall, which is also an absolute highlight of the island. 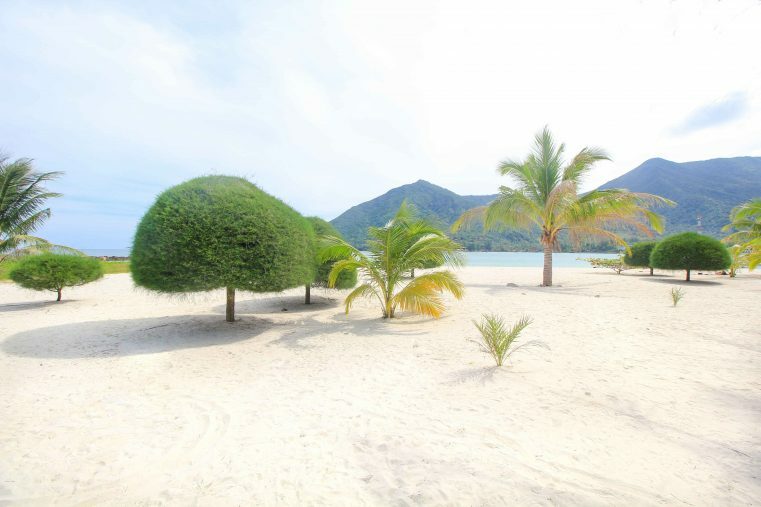 If you are looking for a tropical paradise you definitely should go and visit the Sadet Beach! The two bays of Thong Nai Pan are absolutely gorgeous and a real visitor magnet. Right on the beach you will find beautiful hotels and great accommodations and in the back of the village there is a good tourist infrastructure including restaurants, bars and supermarkets. Thong Nai Pan Yai is a little bigger than Thong Nai Pan Noi beach. Both beaches are not far from each other and you can visit both in a short distance. 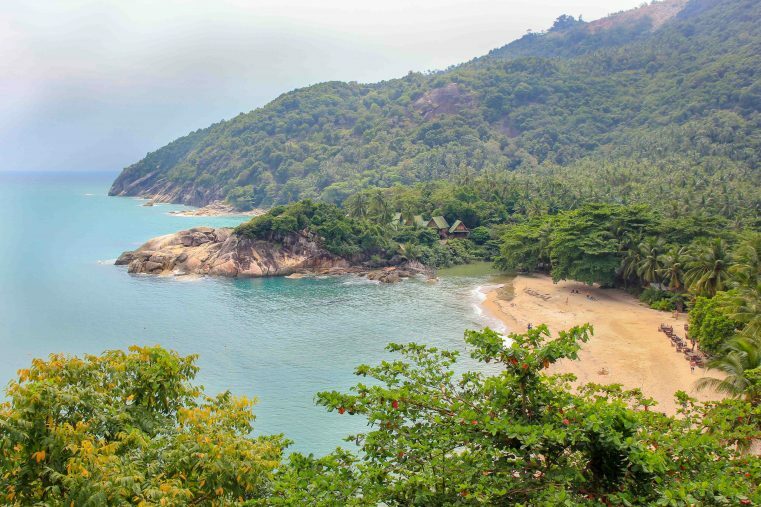 Tip: Thong Nai Pan Yai Viewpoint offers breath-taking views over both the beaches. 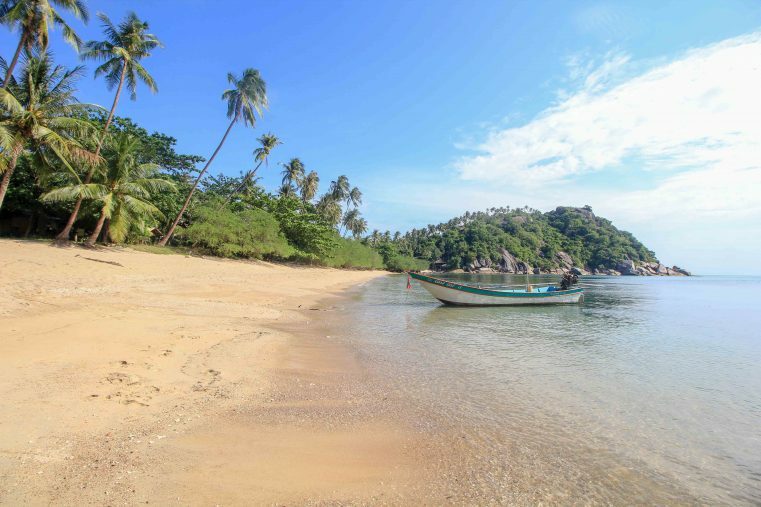 The Secret Beach is not a secret anymore, but still one of the top beaches on Koh Phangan. Here is the atmosphere also really cozy and so it’s a wonderful place to stay a bit longer. Don`t miss to enjoy the ambience in the restaurant of the Haad Son Resort, which is right next to the beach! From the hammocks you can enjoy cool drinks with a beautiful backdrop. 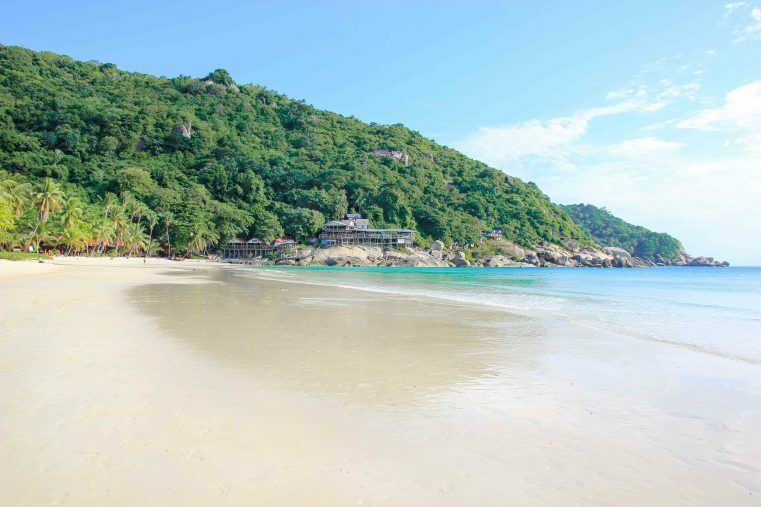 The Haad Salad Beach is really gorgeous and so it is considered to be the best beach in Koh Phangan. The beach is really calm, and you can find enough spots where you have your peace. Especially beautiful is the northern section of the beach, where a mighty palm juts out into the turquoise blue sea and provides fantastic photo opportunities. 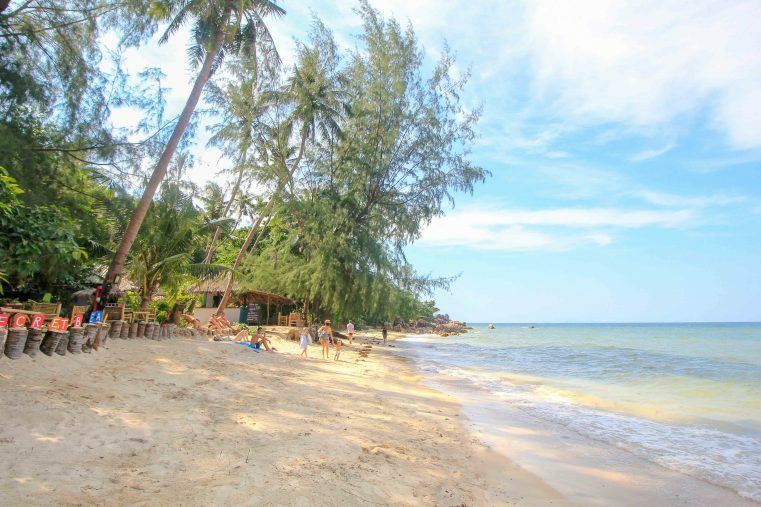 The beach is located in the west of Koh Phangan, at the more quiet part of the island. The Salad Beach is a highlight of Koh Phangan and a side trip worth it in any case. The best accommodations and bungalows can be found at this link. The Haad Yao or also often called because of its length of 1 kilometer “Long Beach” . This beach is the perfect place for swimming and snorkelling! Along the beach you will find some lovely restaurants and bars which are very cozy and inviting. Also, the sunsets on Haad Yao are considered the best of the islands! 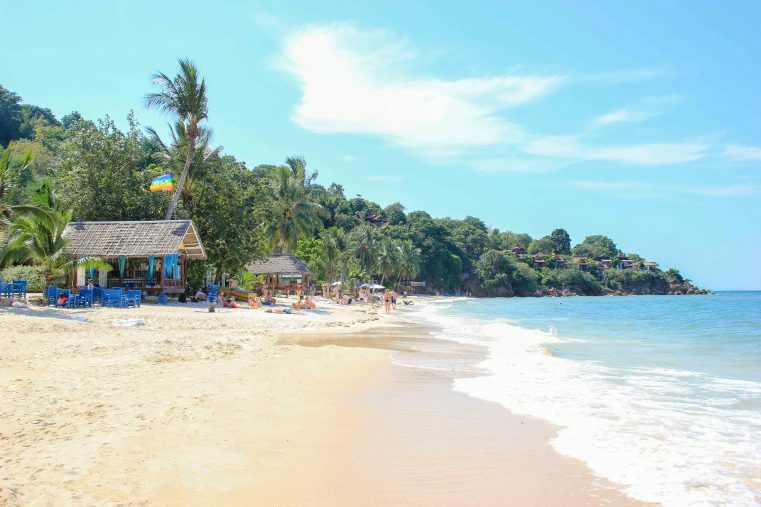 The Haad Mae Beach is a very popular beach on the island. No wonder, the offshore island Koh Ma does not only look spectacular but it’s also a great place for swimming and especially for snorkelling. At low tide you can even walk from Haad Mae Beach over to Koh Ma Island! Maybe this beach is busier than the others, but still this beach is not crowded and you will always find a quiet spot for unwind yourself. At Haad Mae you will also find a wide selection of accommodation options here. 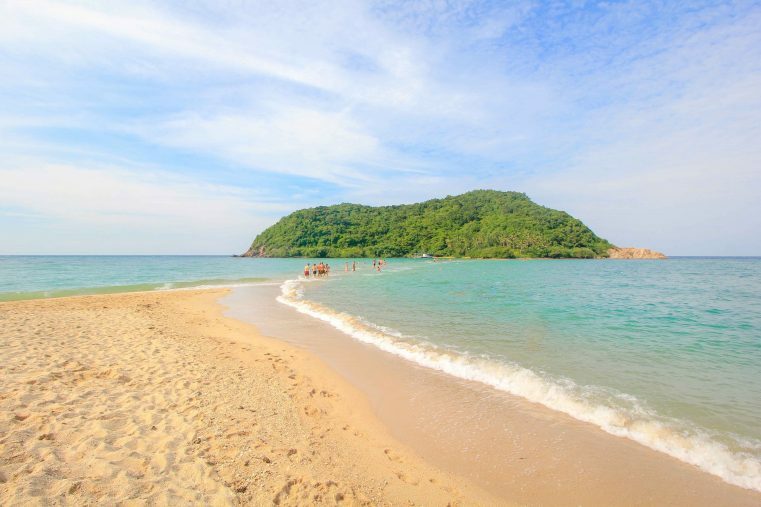 The Bottle Beach is located in the north of Koh Phangan and that beach offers a real postcard motif. For sure you want to stay longer at this paradise beach. There are only a handful of accommodations, so you better book you favourite bungalow in advanced. Above all, the isolation and the unique setting makes this beach so special and if you want to have your peace you are exactly right here. The easiest way to get to Bottle Beach is by taxi boat from Malibu Beach. The beach is also accessible via a jungle walk. The area around Malibu Beach is the absolute backpacker mecca. Here you will find cheap restaurants, bakeries and accommodation in low price ranges. The small beach section captivates especially through its many small palm trees which donate cool shade. The water here is very clear and the sand is wonderful white and extra fine. Also, Malibu Beach is a good base for beach tours in the north-west of the island. In addition, the taxi boats to the Bottle Beach start here.